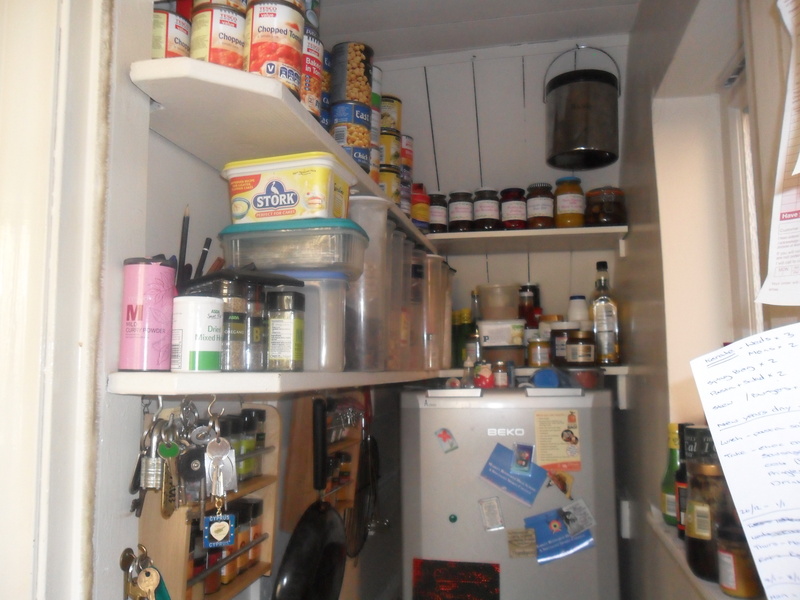 I check exactly what is in my pantry and think about what vegetables are still in my allotment and my vegetable stores. I also make a list of all the contents left in my three freezers. I then work out what meals I can make out of the ingredients I already have. If there are any other ingredients I need to complete a meal then I write them on a shopping list. I then plan all our remaining meals until the next payday. I also add to my shopping list any store cupboard items that I need for packed lunches, bread and cake making etc. and any toiletries we need. Note: I don’t stick rigidly to the monthly meal plan, as I chop and change depending on what we fancy or have to use up, but on the whole I do cook nearly all the meals on the list at some time or another during the month. There are also times when we have friends or family round unexpectedly but these can usually be catered for using my store cupboard items and any ‘reduced items’ I have managed to find during the month. At this point I arm myself with a drink and a nice homemade cookie and begin comparing prices. Where I live we have the ‘big four’ supermarkets close to us. I like to compare their prices using www.mysupermarket.co.uk which is an absolutely wonderful site. You input your shopping list and it tells you the cheapest supermarket for your overall shopping list. If you are short of time you can either get a home delivery from the cheapest supermarket using your list or visit the one supermarket that is the cheapest. As they are all near to me I visit them all to buy the cheapest things from each individual shop. I print a list of the items and highlight the cheapest prices so it’s easy to read and take the list with me. There will always be some home brand items you prefer from a particular supermarket but it’s good to try other home brand items from time to time as you may like them. Morrison’s, Lidl and Aldi do not home deliver so you can’t check their everyday prices on-line, however they do advertise their weekly specials on their own websites. I obviously buy any fresh items when I need them e.g. milk, which also gives me a chance to see any special offers or reduced items. 1) Whoopsies: When you shop for milk, ham etc. during the month, always check for reduced items, but remember it’s only a bargain if you will use it and not end up throwing it away. Also, take into account how much you have saved. For example, a full price large portion of minced beef that you divide up yourself and freeze in individual portions, may still be cheaper per portion than a reduced ‘small’ portion. 2) Home deliveries: Each supermarket charges different amounts at different times i.e. you will pay more at peak times than off peak times. For example, at the time I wrote this, Tesco only charges £3 for delivery between 2pm-6pm on a Tuesday and a Wednesday but charge £6 on nearly all delivery slots on Saturdays. So if you prefer your shopping to be delivered, then work your delivery around cheaper times. 3) Compare prices: Use www.mysupermarket.co.uk This website takes the hard work out of comparing prices. 4) Meal plan: Try weekly or monthly meal plans. You don’t have to stick exactly to it but just use it as a guide. It really does cut costs. 5) Always take a shopping list with you: Try and stick to your list and don’t be tempted to buy things on offer for the sake of it, especially if you know you won’t use them. However, do keep your eye out for bargains that you will actually use. 6) Bulk buy items that you regularly use if they are on offer: If you have somewhere to store them, they have a long shelf life and you will definitely use them, then bulk buy when you see them. 7) Downshift from your usual brands: If you are used to a premium brand of food then try using the supermarkets own brand. If you already use this then try using a ‘value/basic’ item. If you don’t like it then don’t buy it again, if you like it or can’t tell the difference then stick with it as you will now save money. 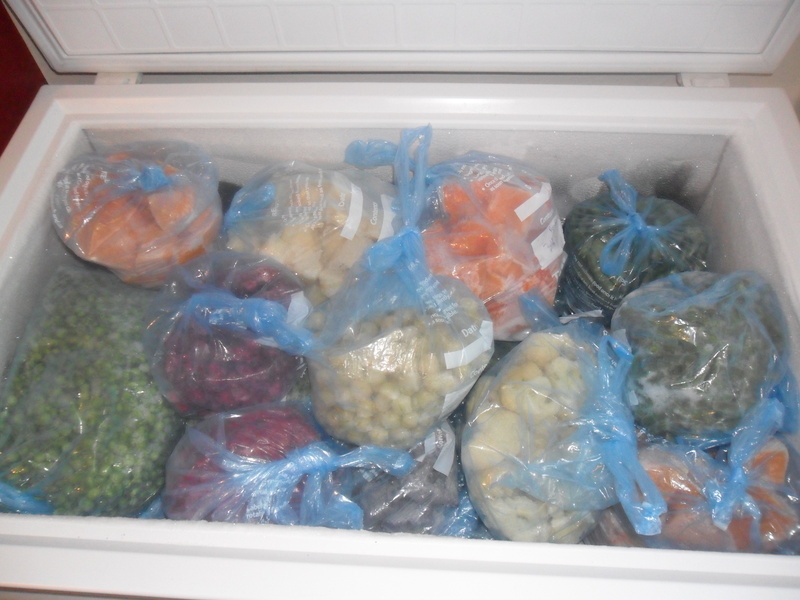 8) Don’t waste food: Keep a check on all the food in your fridge. If an item is near its use by date, then either freeze it for another time or use it up. 9) Cook from scratch where possible: It really does save money and tastes a whole lot better. Also, you know exactly what you are feeding your family, i.e. no preservatives or hidden chemicals. 10) Batch bake: When you make meals like spag bogs, pasta sauces etc. then double up and freeze half. If you know you won’t have time to cook one evening, then defrost a meal and just reheat it in the microwave. This also saves on energy costs. 11) Don’t forget soup: Soups are very easy to make and they use up any leftover vegetables you have lurking in your fridge. They also freeze really well. You can also take soup to work in a flask with a lovely homemade roll and you will be the envy of all your work colleagues. 12) Leftover cooked vegetables: Don’t serve all your vegetables onto plates; let your family help themselves if they want more. This way if you have any vegetables left you can freeze them together and just pop them into a curry, from frozen, next time you make one. 13) Grow your own vegetables: If you have any room in your garden, it really is cheaper to grow some of your own vegetables. They taste so much nicer when you pick them fresh and you can avoid the nasty chemicals that most farmers use. Allotments are usually very cheap to rent and you get exercise as well as the fresh vegetables, but they are hard work and you need to be dedicated. 14) Only go to the supermarket if you really have to: When you go to the supermarket it’s so tempting to buy things you don’t really need, which is why they put milk and bread at the back of the store so you pass all the tempting isles first. The less you go, the less you spend. 15) Make meals go further: For example, a large chicken is enough for a family Sunday lunch, a Monday night chicken and vegetable curry and a chicken and vegetable pie on Tuesday. This is achieved by just using more vegetables which is cheaper than using more meat. 16) Leftovers for lunch the next day: If you have a microwave at work or you are at home you can reheat your leftovers the next day for lunch, i.e. if you have cooked a fresh batch of pasta bolognaise you can reheat it the next day and have it for lunch. Make sure you keep it in the fridge until you reheat it and make sure it is piping hot before you eat it. 17) Collect points from supermarket loyalty cards: Nectar points and Tesco clubcard points all add up and you can use them towards loads of things. Check their websites for details. 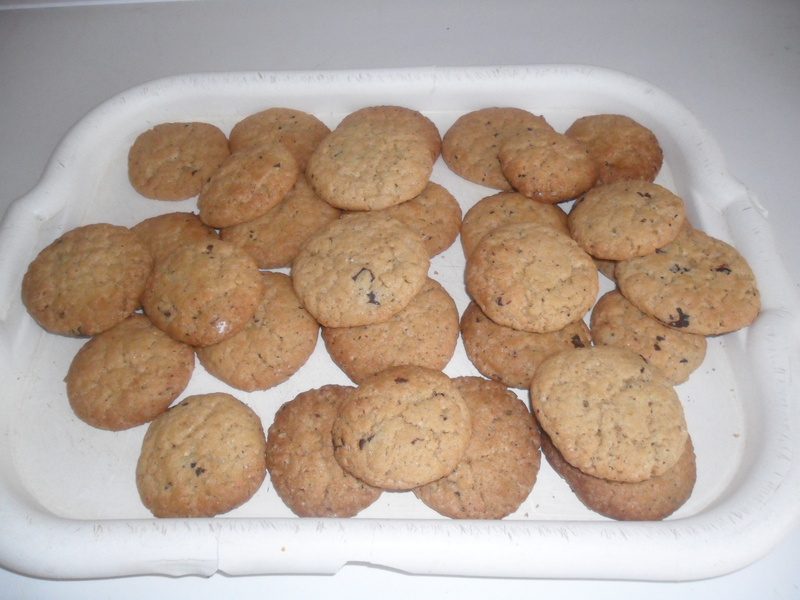 www.lovefoodhatewaste.com = tips on portion sizes, storage, food waste and recipes etc. Sounds like we do many of the same things, except home deliveries aren’t an option in our area. The rest of your tips are ones that we use too. Great list. Thanks Heidi. It’s nice to hear we aren’t alone. This was a great post! I plan on checking out a few of those websites! It was a case of having to learn the hard way…now it seems so normal but years ago I would never have imagined living this way. Even if we came into money (which isn’t likely to happen), I couldn’t see me changing now as I get such a feeling of satifaction living this way. I agree, it does give you an incentive to use your veg when you grow it yourself. My tomatoes this year were gorgeous! So much nicer than the supermarket’s, and lasts longer – the stuff on the shelves isn’t really fresh compared to our veg. You are so right, the tomatoes in the supermarket taste of nothing,but home grown tomatoes taste completely different. Basically allotments rule 🙂 ! !